Goodhood for R. Newbold Spring/Summer 2012 Collection | Definitive Touch - Men's Contemporary Style. Goodhood continue their friendship with R.Newbold, four years of collaboration have yielded many sweet products, the latest line-up no exception. 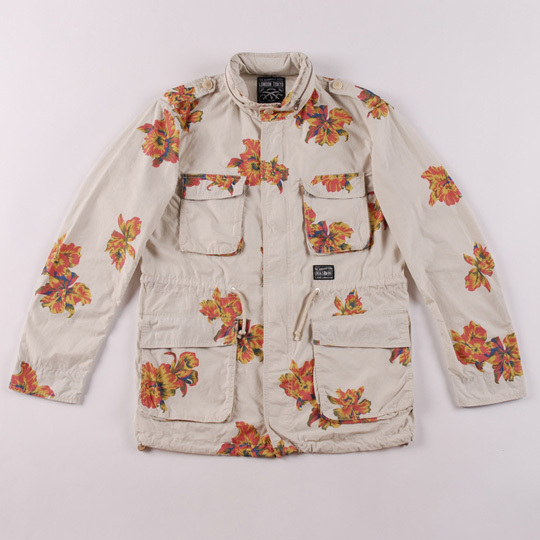 The main man of Spring/Summer 2012 has to be this floral Hawaiian M65 jacket, turning military greens into a summery peace n’ love attention grabber. If you’ve got the front to match with the floral shorts be sure to send us a picture. College tees, Jacquard shirts, henleys…a collection with a sense of humour. Find it at Goodhood.